I have to admit I was baffled that Big Wreck was coming to Rochester. They were also playing Buffalo a couple days later on the tour, so why Rochester too? Not that I was complaining, far less of a drive for me! I also had not yet been to Anthology since it had been remodeled (from the old Daisy Dukes / A-Pub Live). 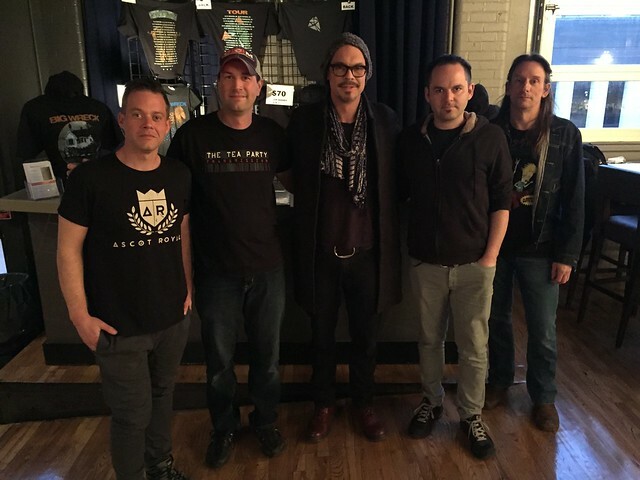 Since I figured it would be a fun opportunity, I also decided to make this show worth my while and I sprung for the VIP meet and greet before the show as a psuedo-birthday present to myself. Unlike any of the other M&G’s I’ve done, this one was very early (5pm!) and we got two songs worth of soundcheck also! They had billed it as two songs that wouldn’t be in the set, and with Skybunk Marche (the instrumental), they were right. They also played Digging In, which actually ended up being the first song of the encore (and hadn’t shown up on any other setlists I’d seen). After soundcheck the guys came down and were very gracious with signing everyone’s stuff and taking pictures (there were only 10 of us). Always a fun experience. So I got to go back home, eat dinner, get the boys to bed, and then head back out to the show. My timing was impeccable, as I only waited about 10 minutes from arrival until the band came on. The set was heavy on the newly-released Grace Street, making up seven of the fifteen songs. I’d been streaming the new album in anticipation (got the physical copy as part of the VIP), so I had enough familiarity with the new tunes to get into them live. They had fun with them too, getting a little jammy with them instead of just playing them like the album. The older tunes were fun also, including Under The Lighthouse, a tune off the first album that I’d never seen live. Interestingly, there was nothing off of Pleasure and The Greed at all. At one point, Ian mentioned that they hadn’t been to Rochester in forever (tour for the first album back in 1998 was the last time), and also when someone yelled for a song (presumably The Oaf), he mentioned “it’s coming, it’s coming. I know most of you die-hards know what the setlist is already, but thanks for sticking with us!”. 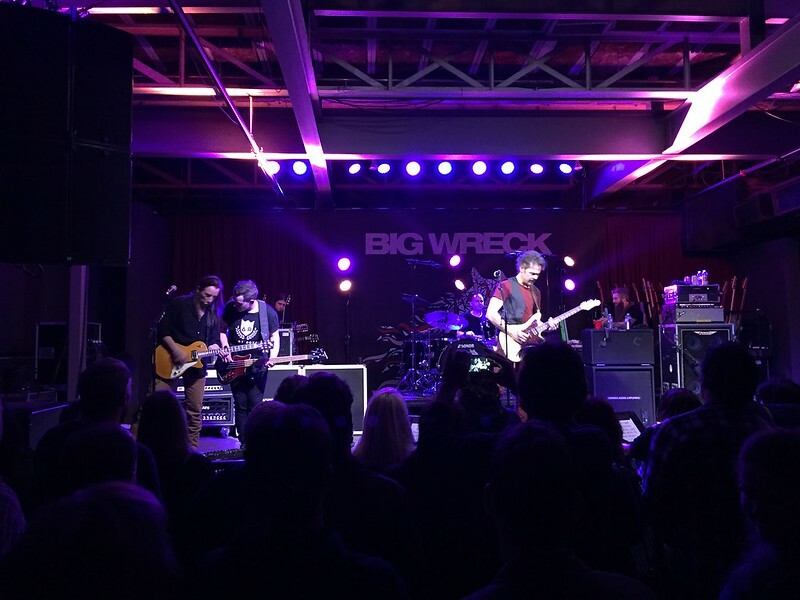 He was right, the place wasn’t anywhere near full, but with a band like Big Wreck, anyone that was there was a die-hard for sure. Lots of people singing the newer Ghosts / Albatross songs, and even some of the new-new Grace Street stuff (it had only been out for around two weeks). Obviously an older crowd, but an enthusiastic one to be sure. One other fun note; Ian mentioned that two of his good friends from high school had made the trip down from Toronto to see the show, and called them out. I happened to be standing near them at the end of the set, and talked to them for a minute. More of a “why Rochester for Vacation?” sort of inquiry. They said they knew it would be a much smaller and intimate show than anything they could see in Ontario, plus they were going skiing and made a vacation out of it, between this show and the Buffalo date. I told them they had to try a garbage plate before they left! Another fun show, another good crowd – everyone happy to be there and having a good time.